The Fanuc Part Number plays an important role in the life of the Fanuc CNC. To obtain replacement parts, request technical assistance, inquire about spares customers are asked to identify the control or item required. Knowing the parts number before contacting us will help speed work along. 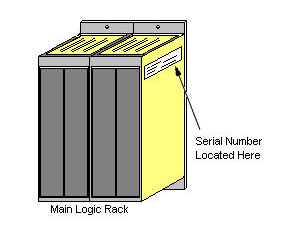 The actual location of the control Part Numbers tag varies, but in general, can be found in one of the following locations: In most cases, the CNC Serial Number will be located on or near the CNC Rack. Servo and spindle amplifier locations below. For the Fanuc Beta drives, the Number is located on the top of the front of the drive. These programming systems have the Parts No on a label located on the back panel of the unit. The Program File Mate, Floppy Cassette Adapter, Cassette Adapter 3 and the FA Card Adapter will have the Serial No on the bottom of the unit. The Handy File will have the Serial No on the back. The white part number sticker is usually found on the back inside bottom panel of Fanuc 14 inch monitors, and on the outside of left or right-hand metal frame of 9 inch monitors. Fanuc boards have a 12-digit part number that starts with the letter "A". 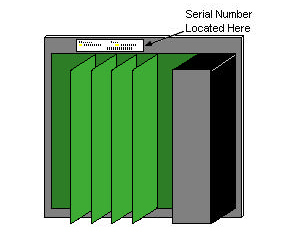 Many Fanuc PCB's have this 12-digit part number printed in yellow ink on the green part of the Fanuc circuit board. Most have a prefix of "A16B", or "A20B". If you see "A320" or "A350", then turn the PCB over and look for the number on the other side of the board. The CNC Part Number is on a metal tag or paper label. The tag varies in size from ½ to 1 inch wide and 1 to 5 inches long. The label tag has three pieces of important information: Part Number (Control Type), Serial No and Date of Manufacture. The part number is the top-level number and help's identify the control type. The “Date” is the manufacture date of the product. The Fanuc Part number is made up of three blocks of four digits normally starting with an A (eg A06B-6058-H223). The Fanuc Series 0A, 0B, 0C, 0D, Series 10, 11, 12, and the Fanuc Series 15-A controls usually have the Part No label mounted along the upper edge of the Fanuc Master PCB. NOTE the parts number on its own for ALL CNC controls is no good without the data sheet also known as the rice paper. if you're wanting to order a full replacement control you will need this as not only does it have all the control hardware details it also has software and options listed. The CNC portion of the Series 15-B, 16A, 16B. 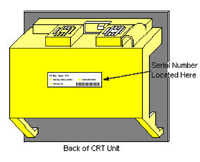 16C, 18A, 18B, 18C, 20A, 21B, and Powermates are contained within a yellow box. Circuit boards plug into the front of the box. The Part Number can be found on a nameplate located on the right side of the box. The i series controls (16i, 18i, 21i, 160i, 180i, and 210i) have a yellow plastic cover behind the Display unit. The Serial Number is located on the center of this cover. Call us, we're ready to assist you with fanuc spares. Save time Our Exchange Program offers significant savings on our extensive inventory for immediate dispatch. Save Money, our Exchange Parts are at Least 50% Below the high Manufacturers Prices. © Pennine Automation Spares. All rights reserved. 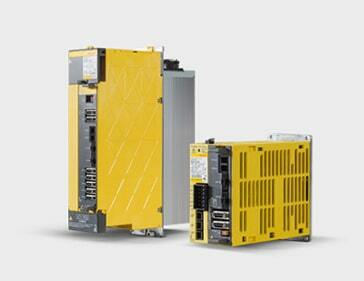 We are an independent Fanuc Service Centre.